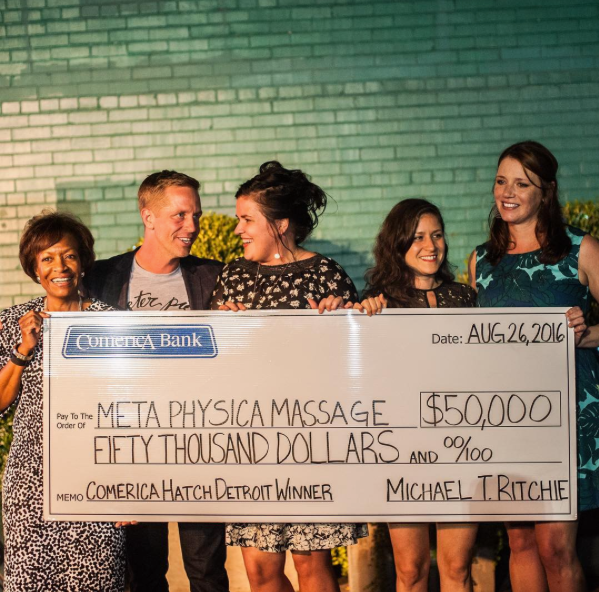 Don’t lay an egg, the winner has been announced: Meta Physica Massage (MPM) is the champion of the 6th annual Comerica Hatch Detroit Contest, presented by Opportunity Detroit. Joining Hatch alums like Sister Pie, La Feria, Batch Brewing and Live Cycle Delight, Meta Physica has been awarded a $50,000 grant towards building their business. Additionally, MPM will received $200,000 worth of in-kind services, including branding, design, media advertisement, legal services, and much more to give their business a boost. With a mission statement devoted to the necessity of self-care, MPM seeks to provide the Detroit area with access to a local “oasis,” with affordable preventative health care and workshops aimed to relax and rejuvenate the city. If you missed all the excitement around this year’s competition, check out our coverage on the contest, with testimonies by the top-three Hatch alums, Bird Bee, Coriander Kitchen and Farm, and Corbé Company, and an inside look at Meta Physica’s journey to success. Hatch Detroit is more than a contest: The program turns business ideas into a reality through mentorship, funding, exposure and education. We had a chance to connect with Jenaveve Biernat from Meta Physica Massage to receive her insight on the impact of the Hatch contest. It was at that moment that Anahi and I decide to become partners, rather than be in competition with one another,” she said. “We began a new search for the right space, which ended when we met Brian Mulloy, the owner of the Bagley-Trumbull building. Brian fell in love with our vision and we fell in love with his space. The Bagley-Trumbull building will not just be home to Meta Physica Wellness Center, but will also include The Bearded Lady (barber shop and salon), Mama Coos (vintage clothing), The Farmer’s Hand (local artisanal grocery store) and Itadaku Sushi. The corner of Bagley-Trumbull will be activated and home to several small business who all support each other. We could not be more thrilled. Our new space will be an oasis in the city. It will be the place you go to feel better. We offer affordable therapeutic massage, saunas, a raw juice bar, an herbal apothecary and health inspired retail. Also, we will offer community donation-based workshops. We will continue, as Meta Physica always has, to offer a different special every month to keep the costs of self-care affordable. Since October of 2015, Anahi and I have been busy getting permits, designing the space, working with architect Brian Hurtienne, figuring out our budget and costs and building a strong concept and business plan. We decided to apply for the Hatch Detroit contest to help cover the costs that our savings and our loan do not cover. The $50,000 prize would help us complete our build out and pay for the saunas and kitchen equipment. Being a Hatch Detroit finalist has been great in so many unexpected ways. It has brought a lot of attention to our small business and has actively engaged the public in what we are doing. The contest has given us the opportunity to get out and meet people from all over the city at our voting polls. We were able to talk to people and hear what they want in their neighborhoods, what they are excited about and what they feel they need. Another benefit of the contest is having the opportunity to get to know the other business owners (contestants). We are all in this process together and have been supportive of one another, which has been great! You can keep up with MPM on Facebook and Instagram for details on the journey to their dream. The best part of the Hatch Detroit Contest: Everyone’s a winner. The top 10 contestants are welcomed into the alumni program, providing technical support and additional spot grant funding to assist their business. Because of this program, 14 Hatch alums have opened for business since the contest’s conception in 2011. 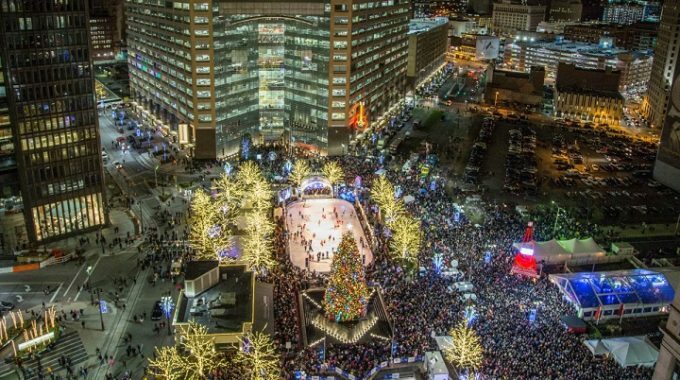 At the end of the day, the city of Detroit also benefits from the Hatch Contest. 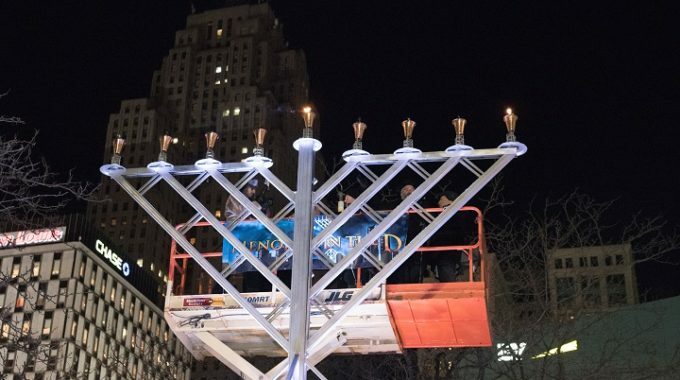 As part of the Detroit Lion’s Living for the City initiative, Hatch sets up storefront in areas like Detroit, Highland Park, and Hamtramck in locations like The Avenue of Fashion, Southwest Detroit, The Villages, and others outside the downtown and Midtown area. Just like Biernat said, the benefits of Hatch far extend the boundaries of economic revenue. It unites the local businesses in the city that will provide beautification, job opportunities, increased revenue and outreach for these areas of need. We are proud of the 2016 Hatch Detroit contestants and can’t wait to see what the future will bring for their businesses and the city of Detroit.